PT Waskita Karya Realty - Waskita Realty is a subsidiary company of state-owned construction firm PT Waskita Karya (Persero) Tbk that is involved in property and realty industry. It was formed in 2014 and running business in the field of trading, services and property/realty. According to PT Waskita Karya (Persero) Tbk Annual Report 2014 as cited by JobsCDC.com, PT Waskita Karya (Persero) Tbk holds 99.99% shares in Waskita Realty. This shares equivalent with 204,999 shares and worth of Rp 204.99 billion. 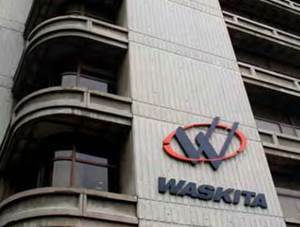 Other 1% remaining shares was owned by Waskita Cooperative or equivalent with 1 share worth of Rp 1,000,000. PT Waskita Karya Realty is based in Jakarta and its head office is registered at Waskita Building 2nd floor - Jl MT Haryono Kav No 10, Cawang, East Jakarta. D3/S1 in the field of IT or equivalent. S1 Psychology or Human Resource Management. D3/S1 Electro Engineering, Civil Engineering or equivalent. S1 Architecture Engineering, Civil Engineering. The candidate with prior experience minimum of 2 years in the field of Business Development/Feasibility study is preferred. The candidate with prior experience minimum of 5 years in the field of construction/property is preferred. JobsCDC.com now available on android device. Download now on Google Play here. Please be aware of recruitment fraud. The entire stage of this selection process is free of charge. PT Waskita Karya Realty - Recruitment D3, S1 Staff, Manager Waskita Group May 2017 will never ask for fees or upfront payments for any purposes during the recruitment process such as transportation and accommodation.